While the recent surge in far-right violence in the US bears a striking resemblance to the situation in post-Maidan Ukraine, it gets strikingly different coverage in the MSM and entirely different reactions from Western politicians. The ‘Unite the Right’ rally, which was held in Charlottesville, Virginia on Friday night and Saturday, attracted all sorts of far-right activists protesting the city’s plans to remove a statue of Confederate General Robert E. Lee from a local park. The removal of the monument was approved in April, but the process was stalled due to multiple lawsuits. 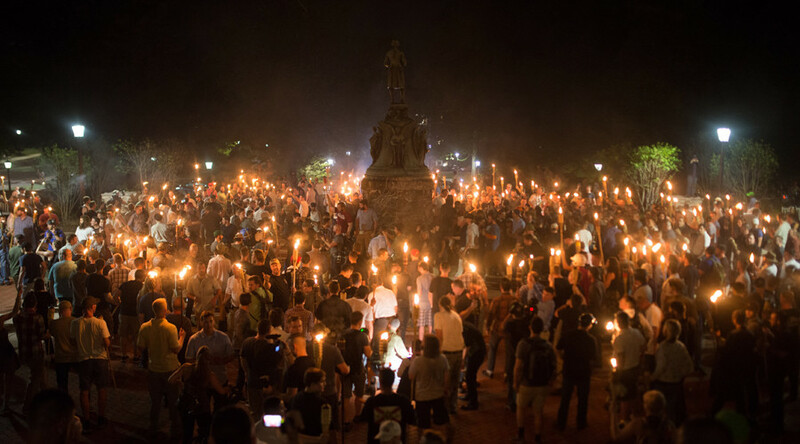 Demonstrators at the march carried tiki torches, chanted Nazi slogans, including “Sieg Heil” and “Blood and Soil,” gave Nazi salutes, and carried various symbols associated with Nazi Germany, such as swastikas, black suns, and runes. 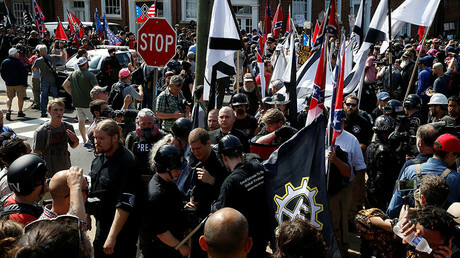 In general, the event received accurate coverage in the Western mainstream media, which described the protesters as “neo-Nazis” and “white supremacists,” while indicating their use of Nazi slogans and symbols. — Julian Assange 🔹 (@JulianAssange) 13 августа 2017 г. 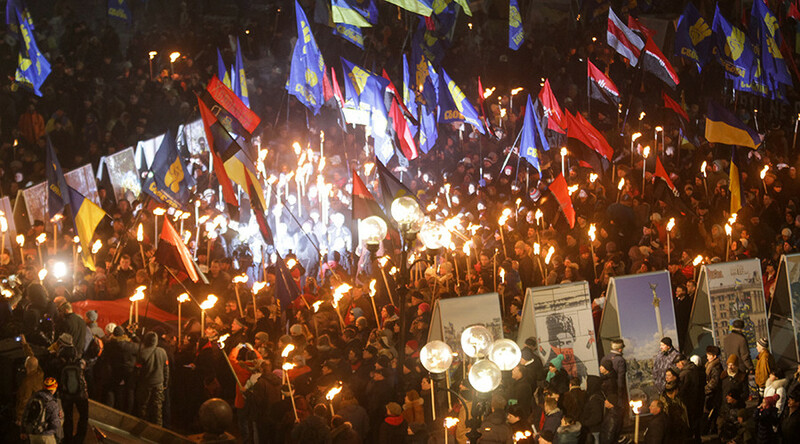 The neo-Nazi torchlight processions which are frequently held in post-Maidan Ukraine, however, have received vastly different coverage in the Western media – though more often than not, they are completely ignored. Ukrainian far-right activists hold marches each year on January 1, marking the birthday of WWII-era Nazi collaborator Stepan Bandera, who is hailed by many as a national hero. 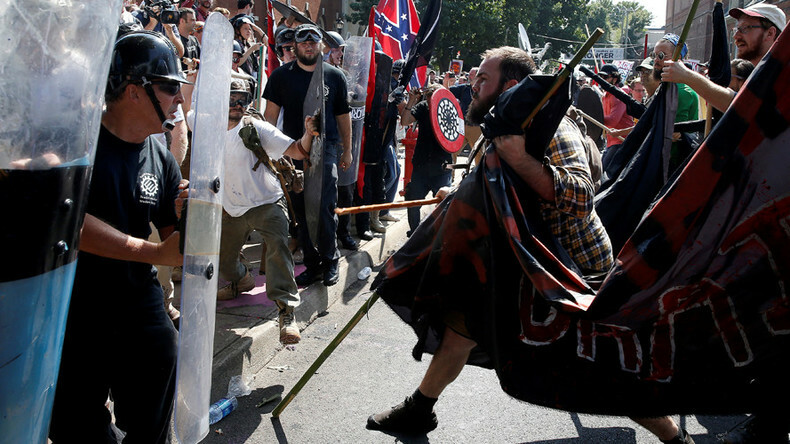 A 2015 march, for example, received some coverage in the western media, but the neo-Nazi elements of the event were entirely watered down. 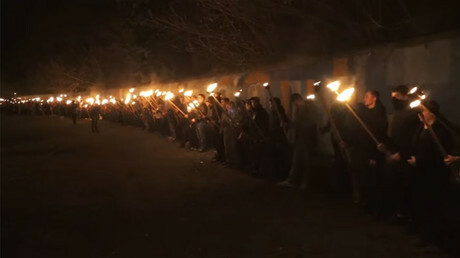 The far-right marchers in Ukraine were described in neutral terms: “nationalists” who chanted “patriotic” slogans, and carried torches and “red and black nationalist flags.” While the Ukrainian “nationalist” flag – which represents the ‘Blood and Soil’ ideology – originated in Nazi Germany and was also used in Charlottesville, it was not exposed and condemned as it was in the media coverage of the Charlottesville events. Other neo-Nazi symbols in the Kiev march also managed to elude mainstream media coverage. 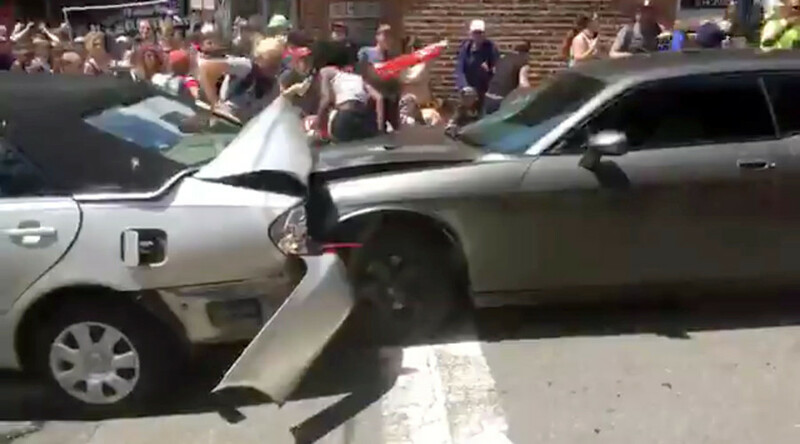 The clashes and car ramming attack in Charlottesville, which left one person dead and dozens injured, prompted swift reactions and triggered a state of emergency in the city. Following the clashes between far-right activists, counter-protesters, and police, the gathering was declared unlawful and was broken up. “All the white supremacists and the Nazis who came into Charlottesville today: Go home. You are not wanted in this great commonwealth,” Governor Terry McAuliffe said at a news conference. US President Donald Trump’s national security adviser, H.R. McMaster, also called the incident an act of terrorism. 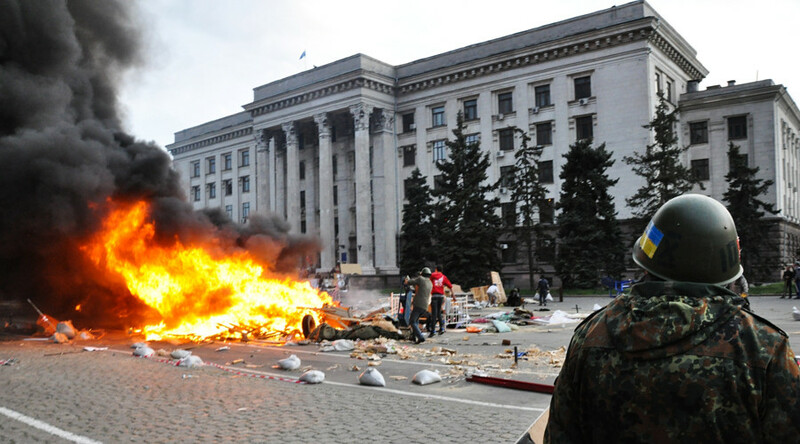 The violent Ukrainian Maidan “revolution” in late 2013 to early 2014 received a different reaction from Western politicians. 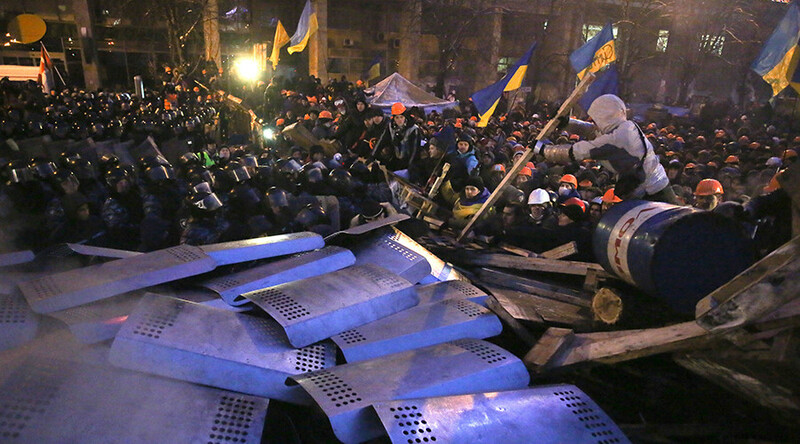 When the standoff between far-right militants and riot police turned violent, all of the blame was pinned on then-President Viktor Yanukovich. 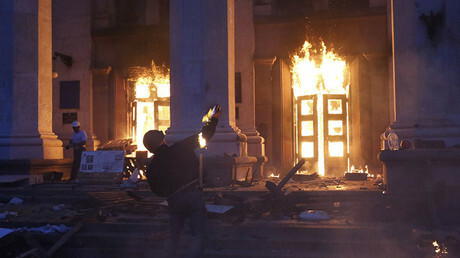 “We are delighted that so many Ukrainians are braving the cold to protest their president’s abrupt decision to withdraw from signing the Association Agreement with the European Union,” Polish Foreign Minister Radek Sikorski and his Swedish counterpart, Carl Bildt, said in a joint statement, praising the anti-Russia stance of the Maidan uprising and completely overlooking the violent far-right elements of the movement. “Violence and intimidation should have no place in today’s Ukraine,” then-spokeswoman for the US State Department Jen Psaki said, urging Kiev to respect the rights of Ukrainians for their “free expression,” and effectively condemning the rather weak attempts of Yanukovich to curb the violence. Who has the right to be anti-Nazi? President Trump has found himself in hot water over the events in Charlottesville for not specifically condemning the far-right activists. Trump’s statement regarding the “egregious display of hatred, bigotry and violence, on many sides,” was branded in the media as “extremely unpresidential” and not forceful enough. “No doubt the thousands of counter protesters included a fringe of hard-left losers, such as the ‘antifa’ thugs who seem to relish armed conflict. But the vast bulk of them had nothing to do with ‘hatred, bigotry and violence’: You don’t have to be any kind of radical to be anti-Nazi,” an editorial in the New York Post reads. Demands to explicitly condemn intentional acts of violence, however, did not apply to the bloodshed in Ukraine. German Chancellor Angela Merkel, who was visiting the US during the events in Odessa, used it as an opportunity to threaten Russia with new sanctions for the alleged destabilization of Ukraine, while somehow ignoring the neo-Nazis committing the crimes. 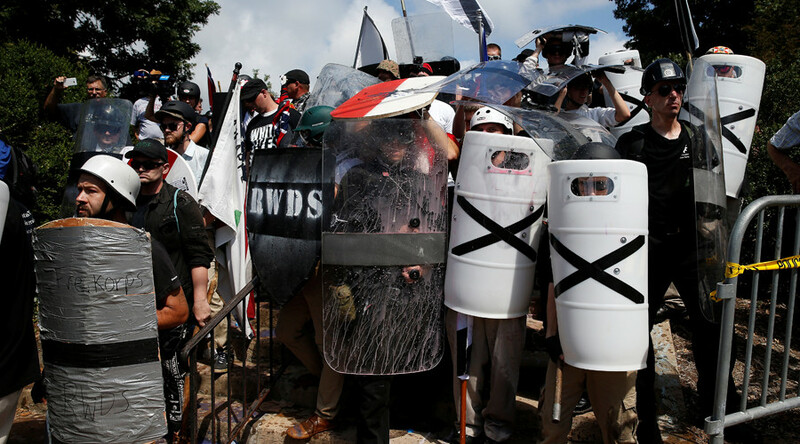 The current Charlottesville unrest, despite striking similarities, received strong condemnation from Merkel.